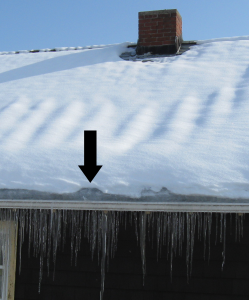 Ice dams are formed when heat from the inside of a home escapes into the attic and warms the roof decking during the winter. This heat, combined with heat from the sun, can melt snow on the roof. Melting snow on the upper roof and in the valleys then runs down toward the eaves as water. When it reaches the cold eaves and gutters it refreezes. The continual thaw and re-freeze process create ice dams. 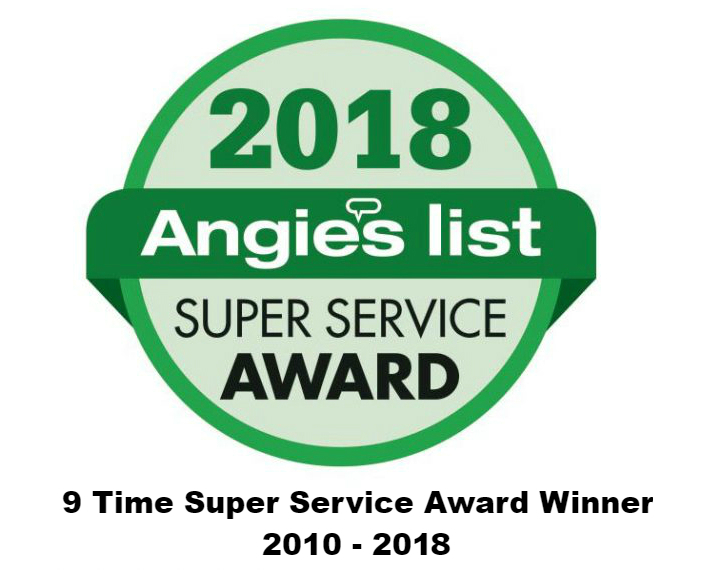 The result is water backing up under the roof shingles or behind fascia boards where it can soak through the roof decking or wall sheathing, causing damage to attics, ceilings, and walls. Quinn’s Construction is an expert on roofing installations and ventilation. Below is a temporary solution to stop leaking and to protect the interior of your home.